Atria Books/Beyond Words, 9781582704180, 320pp. "Smoothly written and with compelling applications of social and psychological theories as well as Buddhist tradition, this can serve both spiritual practitioners and secular readers seeking insight on strengthening themselves and their relationships." "After narrating the tale of Yasodhara’s survival and spiritual growth in the company of others, Surrey and Shem draw on Jean Baker Miller’s relational-cultural theory dealing with the importance of relationships, Zen peace activist Thich Nhat Hanh’s concept of interbeing, and other sources to investigate the power of connection to heal individuals and, perhaps, a suffering world." "In this creative, groundbreaking rendering, the relational ‘Yin’ of Buddhism, so often absent, is brought beautifully to life. The teachings are clear, vibrant, relevant. They guide us in loving more fully, and are the very grounds for healing our earth and bringing peace to our world." 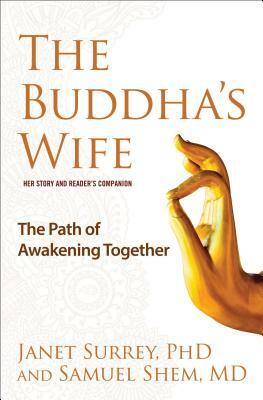 "A beautiful imagination of the feminine and relational side of the Buddha's tale." This long-untold story, a truly provocative teaching tale—timeless and timely, perfect for our disenchanted era—will prove useful and enlightening to those who seek to find freedom within relationships. Here is a whole fresh take on the well-tilled field of the historical Buddha's life and teaching. "Bless you Janet, Sam, and Yashodhara for pointing us in the feminist clarity that we serve best as an ‘I’ in the nest of the ‘we’, being communal at home and the world was the smartest decision of my life. Let's help midwife a loving world." "An imaginative tour de force, this book lets the Buddha's central teaching shine through with stunning relevance for our lives today. Enlightenment or awakening has traditionally been viewed as a solitary achievement. The tale of Yasodhara offers a welcome and engaging counter-balance, where relationships are recognized as central to the Buddhist view of reality as well as to our personal lives. ALong with the engrossing story, the authors offer reflections and guidance on mindful practices that help us wake up to and through our relationships. Buddhists and non-Buddhists alike will want to train in the fullness of presence."